1. The challenges for this cosplay was a. there's not a "good enough" (for me anyway) belt-sash that had a side hip accessory matching the rest of her accessories, and I took this in mind because Phyrra's notable design choices is the bronze metal making her armor/accessories up, and this would have been fine if this was a full body armor, but the bronze is usually only applied more than half of what she wore vs. the entirety of her costume. TLDR: NOT EVERYTHING WAS BRONZE. 2. there's not enough black because her handpieces do lack gloves , but it would change the character of the costume if I chose the gloves over the armpiece. So, I made this look with prioritizing the armor over the underclothing. 4. 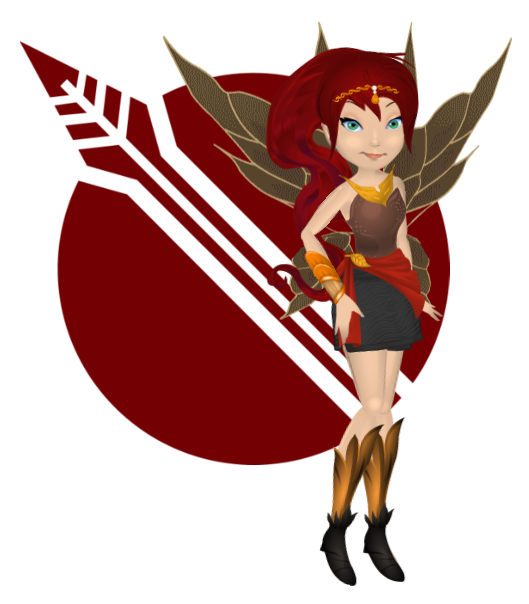 To compensate for the lack of black and gold because of how much I can do so much to dye her clothes, I went out and picked black, gold-rimmed wings, along with her long, red hair to complete the costume! 5. Overall, I'm not too happy with how simple the accessories I chose to make her look as accurate as I could, because they don't look as bulky or armor-ish (is that even a word?!) as they are in the reference picture, however, I am pretty happy with how this turned out simply because I've been trying to make this cosplay work a couple of months before I disappeared for a long while. I'm really happy that it worked out even though this was probably the toughest character I wanted to do for a good amount of time, with my motivation depleting (seriously, I tried to do barbie cosplays when making this costume), and pushing through something that I think is some effort to the forum. I would like to do characters outside of anime or cartoons, there's only so much you can do with characters from within the fandom until you wanna move to the next character. as of now, I'm planning to do barbie characters from the movies that were pretty much gold to me. seriously, I love the music they put into those! So yeah! I don't know how long I'm going to stay online in Fairyabc since my summer just started out! comment down below on what you think, feedback is always appreciated! I'll see you guys in the next one, see ya! Wow! What a gorgeous cosplay/thread! 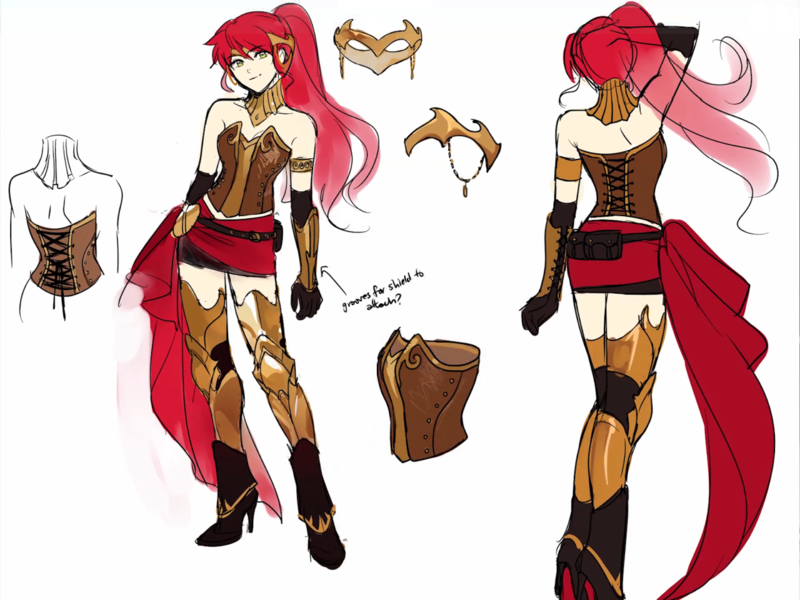 I haven't watched RWBY in ages, I forgot how good the character designs were! I'm so excited that you're back. If everything that you're going to be making is this spot-on, I can't wait for more! If you're doing Barbie movies, may I suggest Anneliese and Erika from Barbie as the Princess & The Pauper? That movie had some of the BEST songs!! I even went as Erika for Halloween all the way back in Pre-K. . .